No first-time visit to a city would be complete without a diner a deux so A& I always choose a place to go for one night to have a quiet meal together. In DC, there were loads of restaurants to choose from but after checking with the city’s magazine, The Washingtonian, and going through their Top Ten restaurants of 2013 list, we decided to go to Fiola (which was listed as #4). 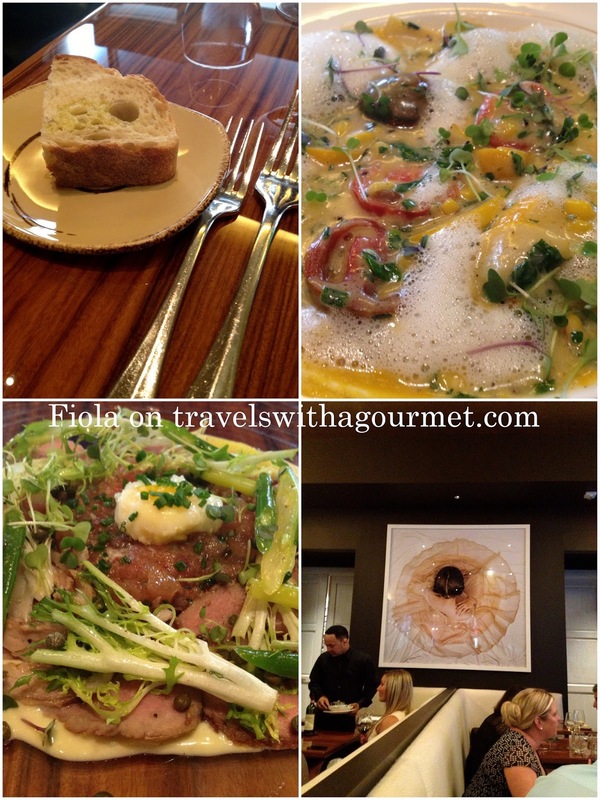 We took a cab to the restaurant’s address in Penn Quarter and were surprised to be dropped off at another famous city restaurant, The Capital Grille which is in the same block as Fiola (the entrance is actually on Indian avenue). After a shortcut through a cobblestoned alley, we finally found Fiola. Fiola is the creation of chef Fabio Trabocchi which has a daily changing lunch and dinner menu based on fresh ingredients of the season and served in a modern setting with bare wood tables offsetting the cream leather and the colorful artwork. We had an early reservation and expected the restaurant to be quiet on a mid-week evening but it was actually full with mostly business types having dinner meetings. The menu can be enjoyed as either a four or five-course meal with or without accompanying wines. On that mid-summer evening, we chose to go a la carte and have something light. I had the raviolo of corn and cherry tomatoes – perfect summer flavors with a light foam of butter and pea shoots while A had the vitello tonnato, traditionally cold sliced veal, but their version included a dollop of hand-chopped tuna tartar. 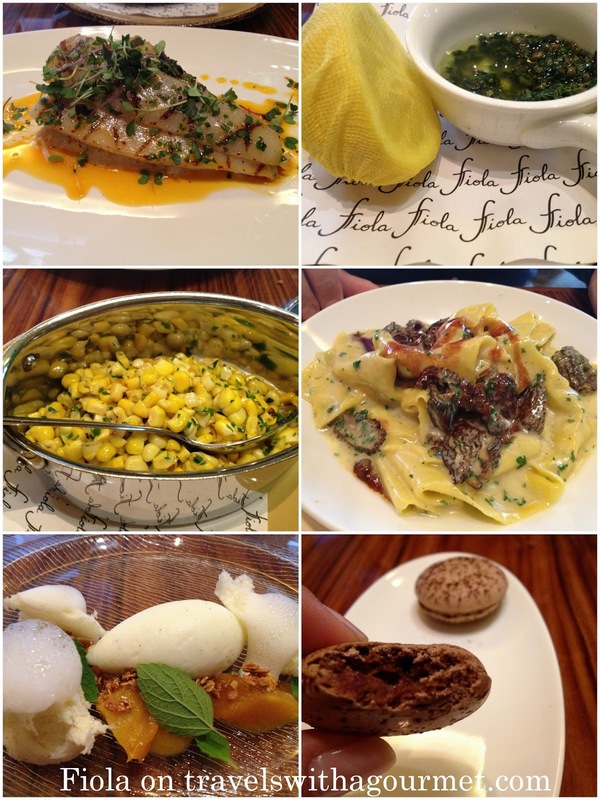 For our main courses, A had a pappardelle with morels in a light cream sauce which perfectly complemented the meaty mushrooms while I had a lightly grilled turbot with salsa verde and more of the sweet summer corn as a side dish. Dessert was a shared plate of poached pears with frozen mascarpone cream and a praline for some crunch. Dinner ended with espresso and some coffee flavored macaroons. When we left the restaurant, the sun had gone down and the street lamps had just come on and we strolled up the street, enjoying the view of the lit-up Capitol and an evening out in this beautiful city. Washington, DC 20004* Entrance at 678 Indiana Ave.